Chauvet BEAMshot is a unique, LED powered effect light that shoots an intense, ultra-narrow beam of light. Easily transform intense beams into a brilliant array by incorporating fog or haze into your event. Considering purchasing the Chauvet BEAMshot ? Have questions? Ask people who've recently bought one. Do you own the Chauvet BEAMshot ? Why not write a review based on your experience with it. This fixture is really nice, We use it regularly for mirror balls and it gives a great effect with two pointing from either side of the ball. We also used it for a production of Les Mis where we needed the effect of light coming in through a window. This worked brilliantly with a straw gel. Excellent for isolating items with a thin pool of light, lovely for dances and lighting tables or in exhibitions. 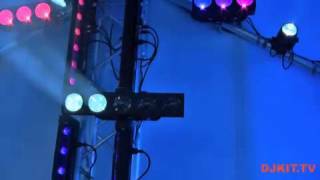 Seen a video for Chauvet BEAMshot online or have you own video? 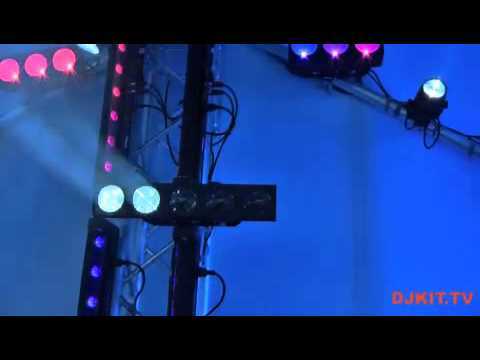 Check out Chauvet BEAMshot on DJkit.com!